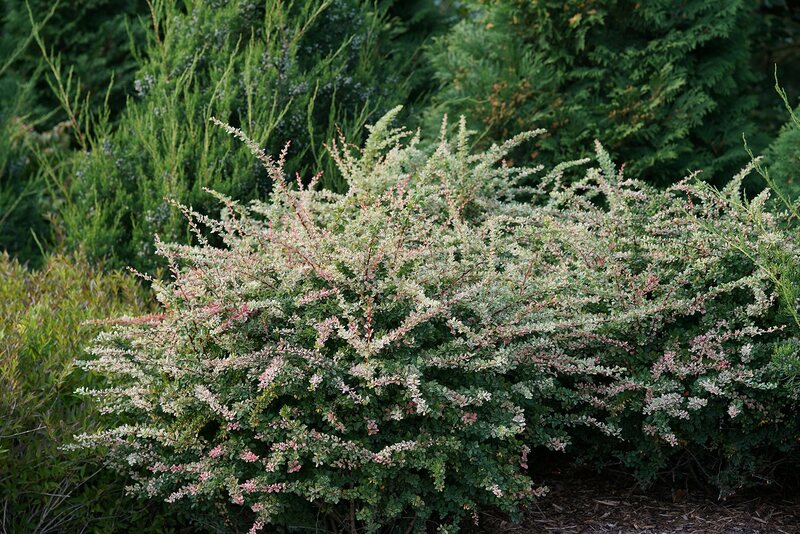 Neat, clean, colorful variegation makes Sunjoy Sequins™ barberry a standout in the landscape. 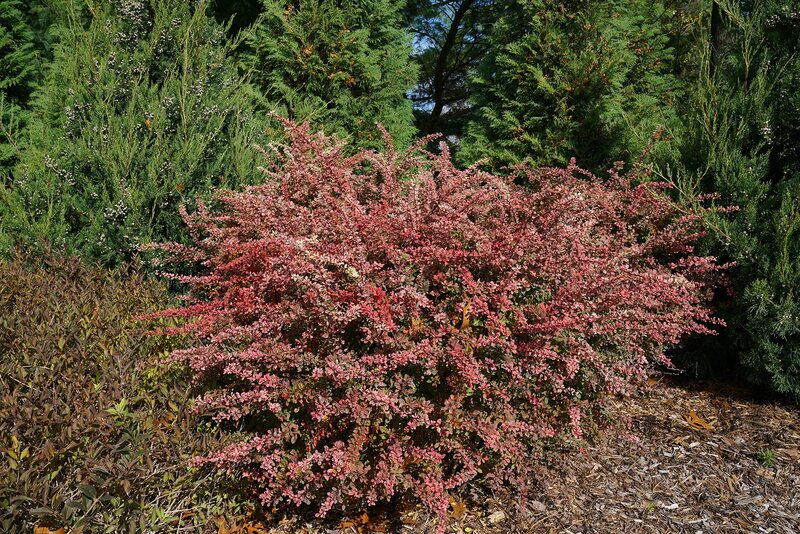 Leaves are splashed white and green, and develop very showy pink tones as the season progresses, making the plant a patchwork of pink by autumn. 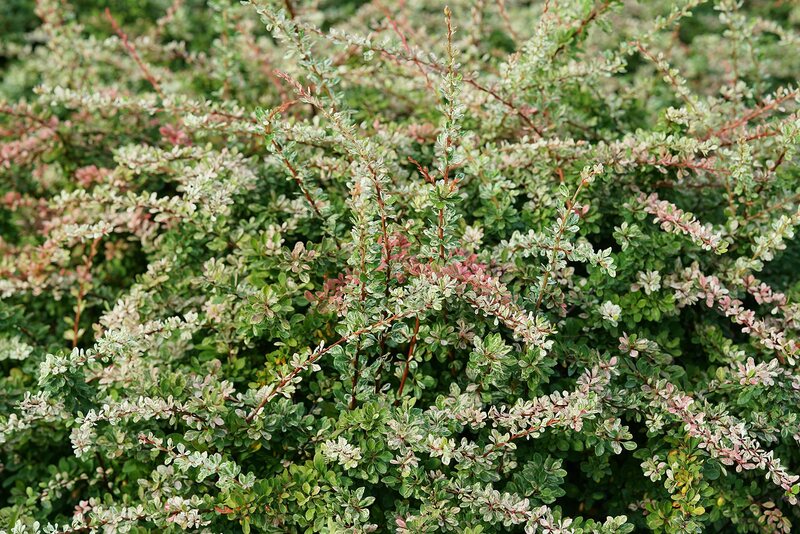 More shade tolerant than other foliage barberries.